DYNAMATIC HYDRAULICS™ is one of the world’s largest Hydraulic Gear Pumps makers, and, is focused on being number one. It has two state-of-the-art manufacturing facilities, located in Bangalore, India, and Swindon, U.K. The Dynamatic Technologies production facilities in Bangalore employ cutting-edge technologies and modern machinery to manufacture a wide range of sophisticated Hydraulic Valves and custom tailored Hydraulic Solutions extending from simple Hydraulic Pumping Units to complex Marine Power Packs and Aircraft Ground Support Systems to Turnkey Industrial Installations. Dynamatic Technologies manufactures an extensive range of Hydraulic Gear Pumps in Cast Iron and Aluminium, that find application in Agricultural Equipment, Construction Equipment, Material Handling Equipment, Mining and Drilling Equipment and in Marine applications. 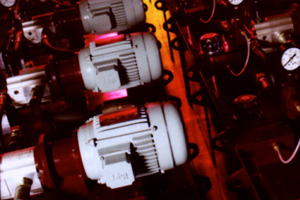 The Dynamatic Technologies facility in Swindon, UK, has over 50 years of experience in the design and manufacture of Gear Pumps and supplies products to Agricultural, Construction and On-Highway vehicle manufacturers. Products include Combined Variable and Fixed Displacement Pump Packages, Temperature Controlled Fan Drive Systems and Fixed Displacement Pumps in Aluminium and Cast iron with a range of additional integrated valve options. 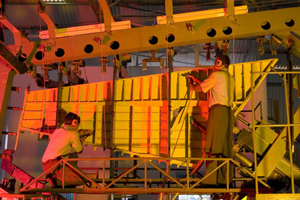 Dynamatic Technologies builds major air-frame structures for the Sukhoi-30 MKI, and is HAL's largest developmental partner on the programme. DYNAMATIC-OLDLAND AEROSPACE™ is a demonstrated leader for the development of exacting Airframe Structures and Precision Aerospace Components. The Company's modern Aerospace Manufacturing Complexes in India and UK deliver high value to our customers, by combining the technical competence of our facilities in UK with the cost & manufacturing advantages offered by our Indian plants. Dynamatic-Oldland Aerospace™, India, is a partner of choice for agencies of national importance including the Ministry of Defence and Hindustan Aeronautics Limited, as well as international aerospace majors. Our products include the Wing and Rear Fuselage of the India's Pilotless Target Aircraft - LAKSHYA, the Ailerons & Wing Flaps for the Intermediate Jet Trainer HJT-36 and major Airframe Structures for the Sukhoi 30 MKI Fighter Bomber. DYNAMATIC HOMELAND SECURITY™ offers cutting-edge security solutions to enhance the Nation's capabilities in countering modern day security threats. Our strong Research and Development capabilities combined with the powerful partnerships we have forged with leading "global security technology" companies enables us to offer potential customers, like India's National Defence Forces, Homeland Security Forces, Police and Civilian Agencies, solutions that will enhance their abilities to prepare and plan for emergencies as well as their response and recovery skills. 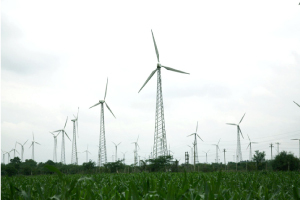 JKM Wind Farm generates green energy for captive consumption, enabling Dynamatic Technologies to achieve a significant reduction in monthly energy costs at its Chennai complex. Dynamatic Technologies produces high quality Ferrous and Non-Ferrous Automotive Components for Highway, Off-Highway and Technology oriented applications for leading Global Automotive OEMs. The Company possesses modern Ferrous and Non-Ferrous foundries as well as modern state-of-the-art automotive component manufacturing facilities in India and Germany, and is able to vertically integrate the competence and locational advantages of its facilities to deliver greater value to our customers. EISENWERK ERLA GMBH is a preferred supplier of Precision, Complex Metallurgical Products for Automotive Engines and Turbochargers to leading Global Automotive OEMs including Audi, BMW, Borg Warner Turbo Emission Systems, Volkswagen and Daimler. 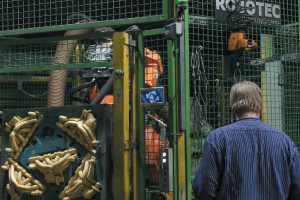 The Eisenwerk Erla site which has been in business for over 630 years, possesses one of the finest Ferrous Foundries in Europe, capable of manufacturing extremely intricate Ferrous castings from difficult-to-cast materials, as well as strong R&D capabilities with patented technologies specific to the automotive industry. The JKM FERROTECH™ facility in Chennai has expertise in producing High Si-Mo automotive components and is certified to the highest quality standards specified by the Automotive Industry. Our expertise in producing intricately shaped castings as well as our skills in handling ferrous alloys, particularly High Si-Mo and Ni-Resis, makes us a strong development partner for prototypes in Ferrous Alloy castings. DYNAMETAL® incorporates use of the latest metallurgical processes to produce high quality Non-Ferrous Alloy and Castings for Industrial, Automotive and Aerospace Applications. The Foundry differs radically from other conventional foundries as its heat treatment processes are designed to ensure castings are made with no inclusions, minimal melting loss and with the effective removal of gas from the metal. Dynametal® is capable of executing Aluminum Gravity Die Cast parts with intricate contours, Pressure Die Castings and has competence in alloying metals and complex castings. The DYNAMATIC TECHNOLOGIES RESEARCH & DEVELOPMENT CENTER is completely electronic, utilising state-of-the-art parametric 3D design programs and knowledge based expert systems. The Center has been a 'Recognized In-House R&D Unit' certified by the Department of Scientific and Industrial Research (DSIR), Government of India, since 2001. The DYNAMATIC TECHNOLOGIES ENGINEERING LABORATORY, in Swindon, UK, possesses advanced design knowledge for the Mobile Hydraulics Sector, and has comprehensive product testing and validation capabilities.